Panoramic Tripod Head with rotator (click-stops all 5 degrees horizontal), vertical pivoting arm with 7,5° clickstops, included bubble level and selectable quick change Adapter(Manfrotto MA323 or the Arca-Swiss compatible Sirui MP-20/Sirui TY-60) incl. 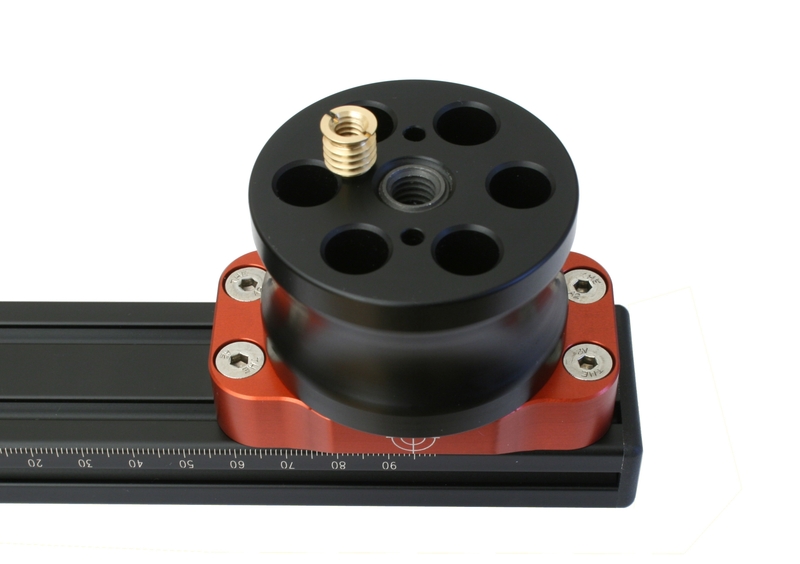 1/4" camera quick release plate. The Roundabout-NP Deluxe II 5R adapter is perfectly suitable to create 360° cylindrical panoramas as well as 360° x 180° spherical panoramas. The Roundabout-NP-Deluxe II 5R adapter is completely made of aluminum, by this very light and highly-stable. Both movable axes are guided and dispose of lasered millimeter scales, so that a high repeating accuracy in case of adjustment of axes is given. Furthermore the carriage of the camera has two thumbscrews for a fast adjustment of the carriage and a selectable quick change adapter(Manfrotto MA323, Sirui MP-20/Sirui TY-60) and a 1/4“ quick release plate for your camera . The vertical swivel arm disposes of a degree scale and 7,5°clickstops which is saved by a big clamping. All screw connections are strengthened by a steel thread inserts resp. slot nuts. Also included in the adapter is a small noble bubble level. The high-quality rotator has a click-stops system all 5 degrees, so that you can precise adjust the angle steps. 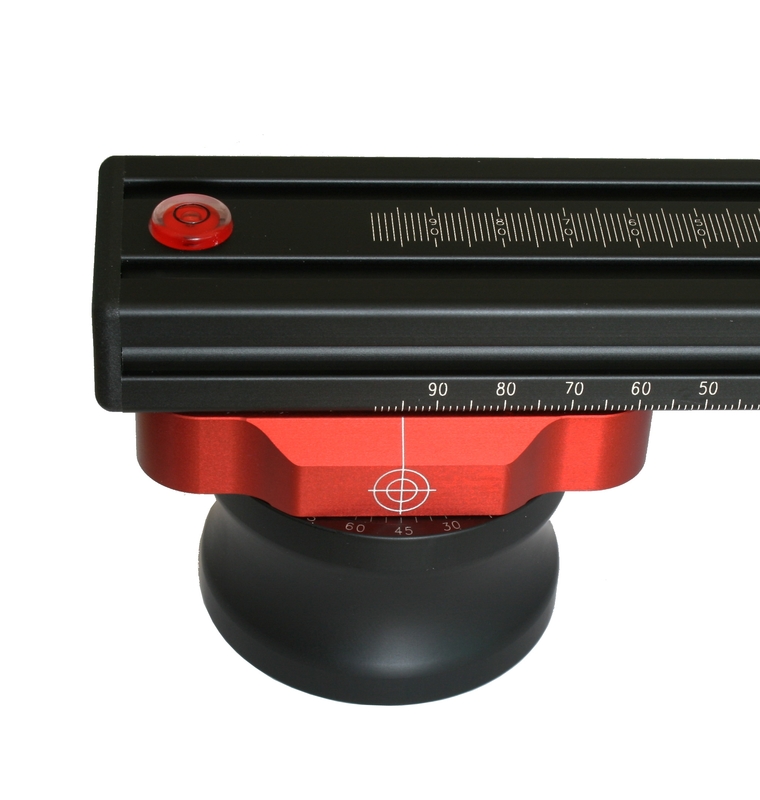 The lasered degree scale of the rotator is good from top to read, so that you are able by the creation of your panoramas to concentrate you on the essential. It can be directly screwed on a tripod, a tripod with ball head, 2-3D pan tilt head etc. with 1/4“ or 3/8“ connecting thread. Also included is the shown Tripod Bush Adapter. The Roundabout-NP-Deluxe II 5R Adapter is offered in two different sizes (N, L) and can be selected entirely according to personal needs.